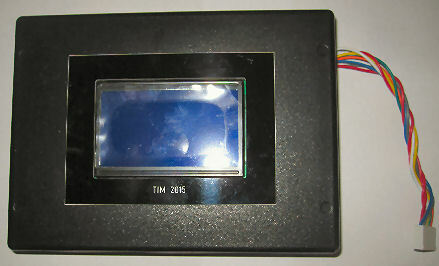 The TIM 2015 is a self contained time of day announcement device that measures 5" x 2" x 7" (130 x 50 x 175mm). 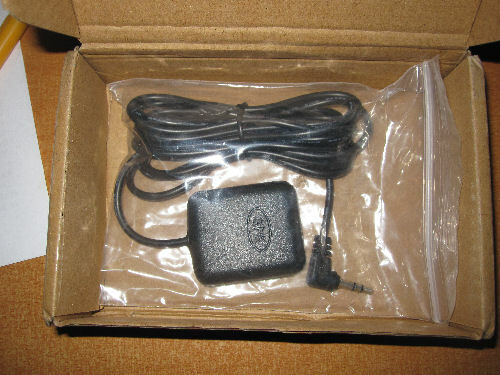 It answers a telephone line with the current time just as the telephone company's machines used to do. It has voices from the United Kingdom, United States, and Australia, with more on the way. 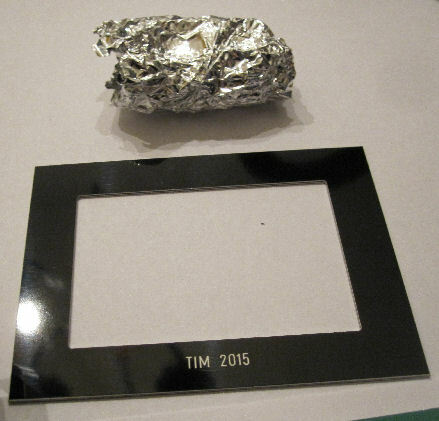 The TIM2015 is available from Andy Emmerson fully assembled and as a do-it-yourself kit. 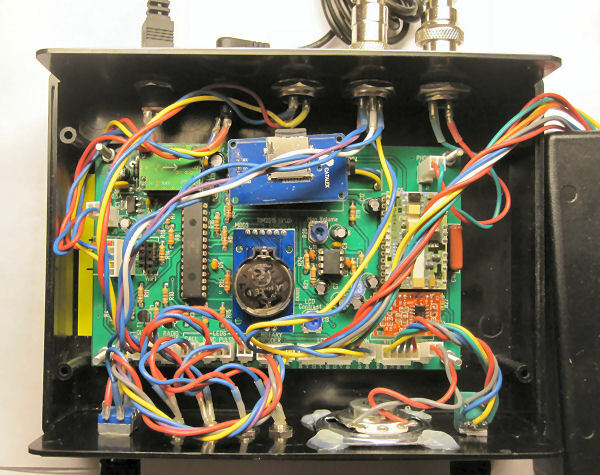 The device is featured in the Spring 2019 THG (Telecommunications Heritage Group) Journal 106. This is Tony Roza's page. His TIM2015 is at +1 401-434-3673 (USA, Eastern time) and is illustrated below. Unless he forgets, the voice is changed on Sunday. 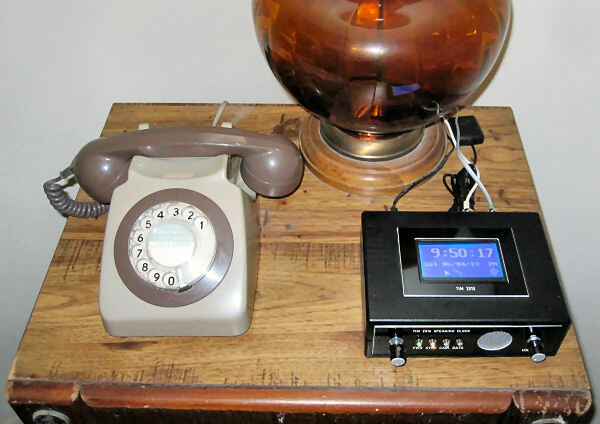 The THG (Telecommunications Heritage Group) has a page THG Speaking Clock which links to http://846ti.me/. 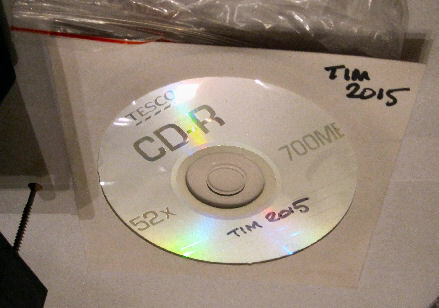 A TIM 2000, the predecessor to the TIM 2015, is at +44 20 3598 2801 with Pat Simmon's voice on UK time. 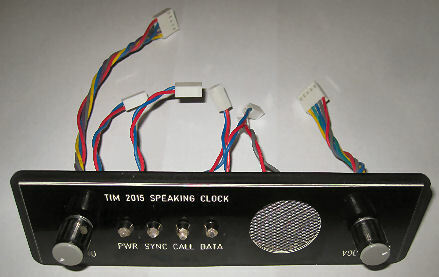 Sam Hallas' page is at TIM 2015: A new Speaking Clock. 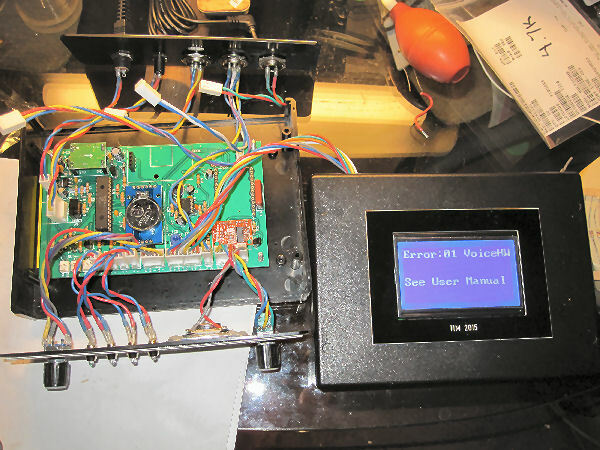 John Novack has a TIM 2015 synchronized to GPS on CNET 1-666-2525. It is currently using Gordon Gow but from time to time he changes voices when the spirit moves him. 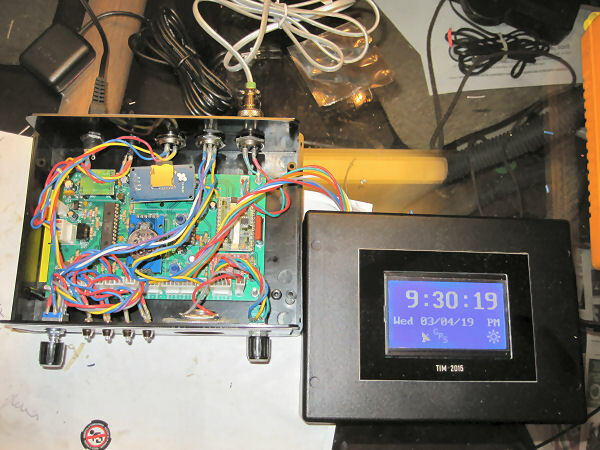 Here is the TIM2015, the GPS, and a BT 8746G which serves as a monitor. 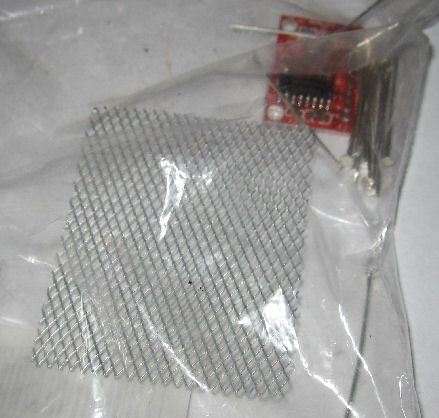 I purchased the bare-bones kit (case, pc board, and several modules) which Andy referred to as a "box of bits". 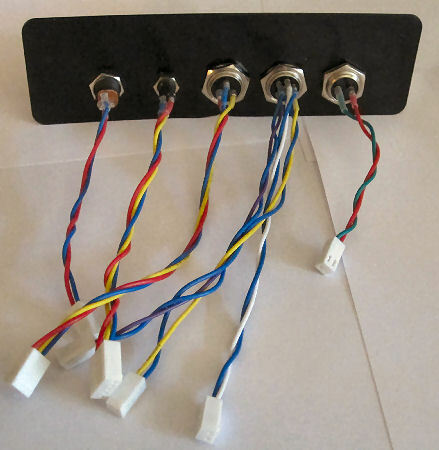 His documentation is excellent and, for anyone with electronic skills, it is relatively easy to assemble ... once the parts arrive from the UK, US, China, and Korea. Warning: This is no Heathkit®! When ordering parts, it takes a week or less for the goods to arrive from the UK or US; and typically 3 weeks from China or Korea. One item ordered from China has not arrived after 6 weeks. 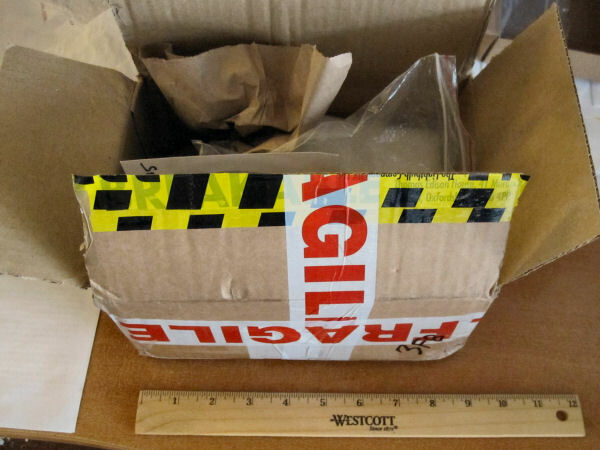 Royal Mail - It took under 5 days to ship the 9" x 6¼" x 4½" "box of bits"
from England to California - 5,500 miles. 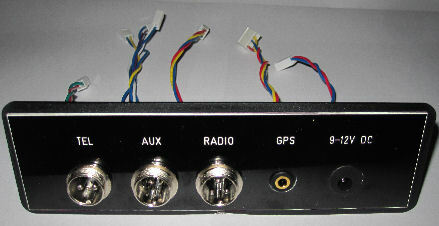 The case - top, bottom, front and rear panels as prepared by Andy Emmerson. 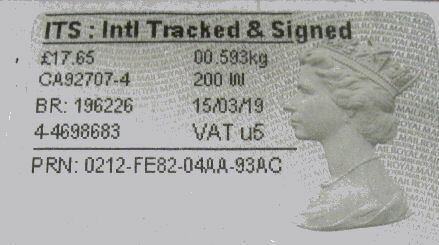 The CD containing the documentation. 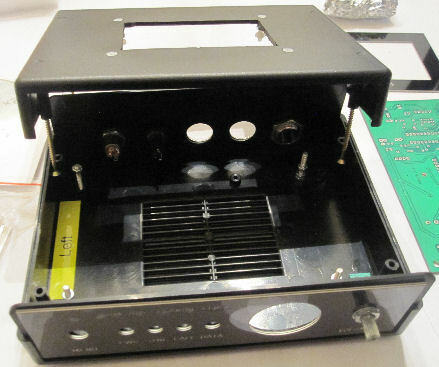 Speaker grill and PAM8403 amplifier module. 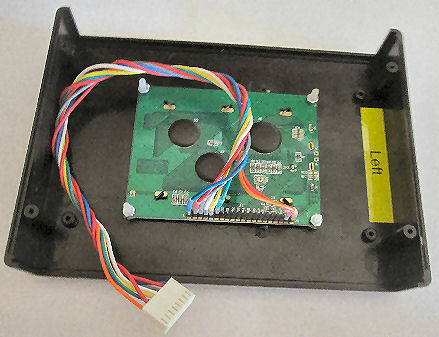 LCD frame. The Adrino and Mitel modem are in the aluminum foil. 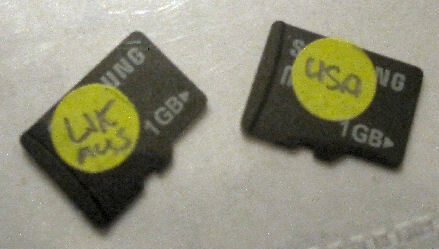 Micro SD cards containing the voice files. Gordon Gow - "At the 3rd stroke it will be", production version with high pitched pips, in service 1954-1990. UK-AUS 05. Richard Peach (1949-2008) - "At the 3rd stroke it will be", in service 1990-2006. UK-AUS 06. Gordon Guy - "At the 3rd stroke it will be", Mk II experimental clock with with lower pitched pips. UK-AUS 02. Sam Hallas - "At the 3rd stroke the time will be", TIM2015 collaborator for THG. UK-AUS 03. Art Malik - "At the 3rd stroke the time sponsored by Cunard will be any time you'd like." Cunard Time radio commercial 2015. UK-AUS 04. Pat Simmons (1920-2005) - "At the 3rd stroke it will be", in service 1963-1985. UK-AUS 01. "At the tone the time will be", District of Columbia. USA 04. "Good morning/afternoon/evening. The Bell Telephone Company brings you the correct time". USA 05. "The time from your telephone company is". USA 06. "Thank you for calling Sprint. The time is", Las Vegas, Nevada. USA 07. "Ameritech thanks you for calling. At the tone the time will be". USA 08. John Doyle - "At the tone the time will be", Baltimore, Maryland. USA 01.
generic. "At the tone the time will be", USA 02. District of Columbia, "Thank you for calling. Good morning/afternoon/evening. At the tone the time is", Audichron, in service 1981-present. USA 03. Assembly begins for the case. 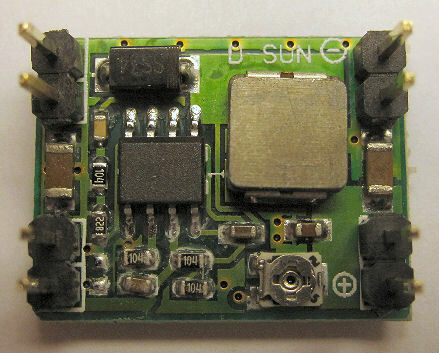 The unit's time can be synchronized with an external radio (0.1 second accuracy: MSF-- United Kingdom, DCF77-- Germany, WWVB-- United States), GPS (1 second accuracy), or internal Wi-Fi (&frac13; - 1 second accuracy: Espressif Systems ESP8266-01). I am using a GPS receiver. 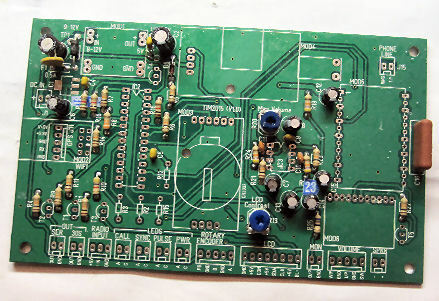 Assembly begins for the pc board. 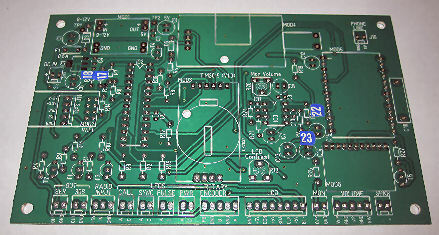 PC board - components mounted and masking taped into position for soldering. 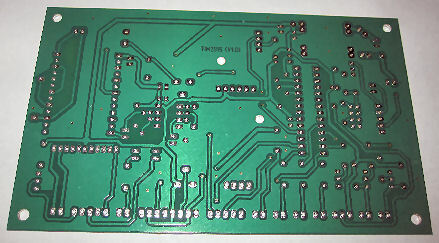 PC board - component side after soldering. 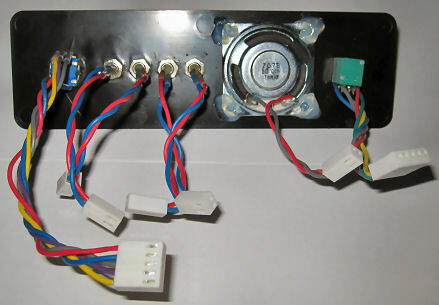 Work continued until most "passive" components (sockets, connectors, resistors, capacitors, and diodes) were installed. 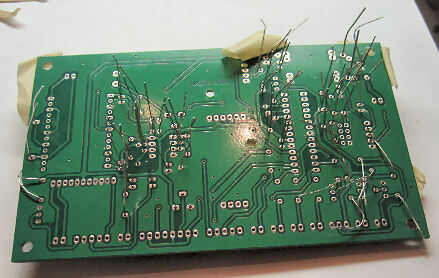 After the "passive" components were installed, the wiring was tested for continuity, open circuits, shorts to adjacent pins, etc. 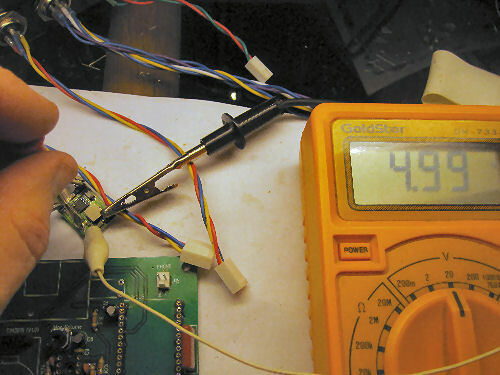 Then, the 3.3v regulator and transistors were soldered and tested. 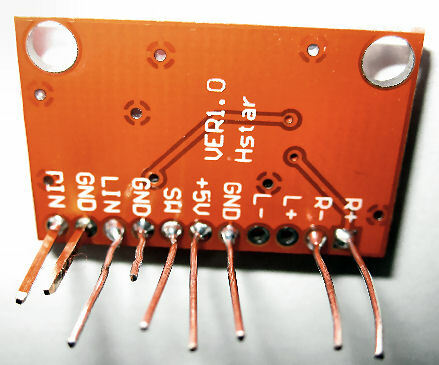 The LED resistors will not be installed until later since they will have to be chosen for consistent brightness. 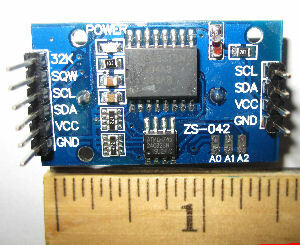 The 5v supply was installed, power was applied, and the 5v supply to each module/socket was verified. 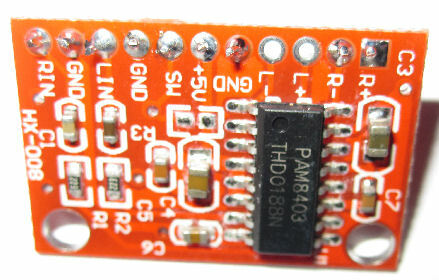 The 3W Amp module was installed. 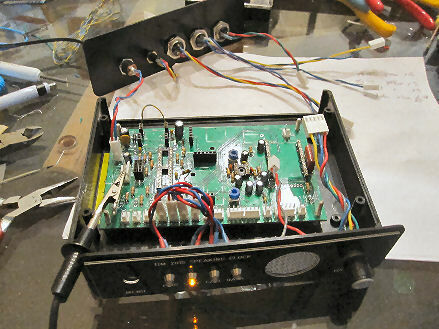 The speaker and headphone/monitor outputs were testing using signal generator (set to a 33Hz of course) in place of the sound card. 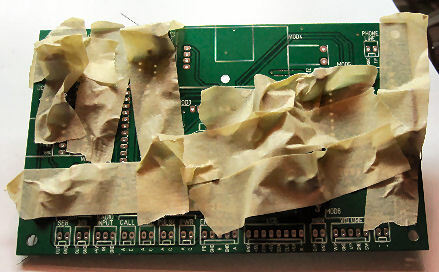 Then, the modules and chips were installed with the exception of the sound card (which had not arrived) and modem. The lights lit as they should. 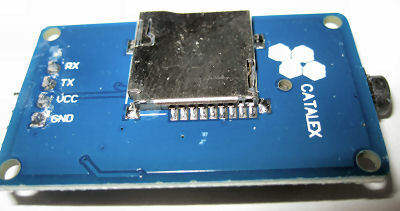 The hard reset worked - indicating the encoder et al are ok. After adjusting the contrast trim pot, the expected message "Error: 01 VoiceHW" appeared indicating the display works properly. The audio card arrived and was installed along with the modem. Shortly after, the TIM2015 spoke for the first time. In a few minutes, the time synchronized itself from the GPS. The telephone auto-answer was tested-- my line is connected to a VOIP Magicjack. 20/20 Hindsight. 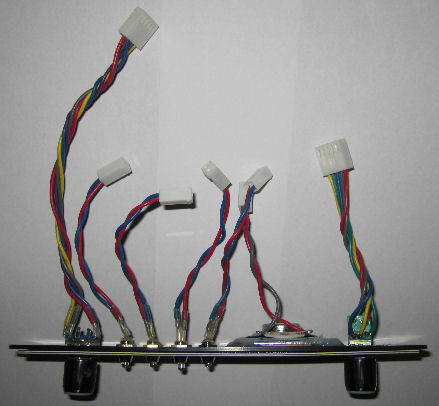 As the components were placed in the case, as shown above, I realized that it was not a good idea to use 22 guage stranded-wire and plenty of slack. Thinner wire with shorter leads would have been better. The wiring had to be neatly tucked-in before the case was closed.